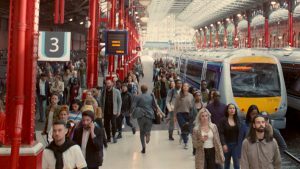 Sky Mobile has launched the next instalment of its ‘Hello Possible’ campaign starring Lily James. Created by WCRS, the campaign’s two 30” spots see James return to invite people back into the bright and optimistic world of Sky Mobile, where customers are given the freedom of a more flexible network. The first spot airs on 14th September and focuses on Sky Mobile’s unique ‘Roll’ product, which allows customers to roll over unused data for up to three years. 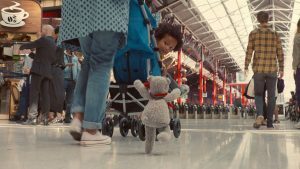 Directed by award-winning duo Dom&Nic the ad brings to life the magical world of possibilities that Sky Mobile has to offer; a world where lost teddy bears can make their way home, missed trains reverse to allow you to hop on board…and unused data can be rolled over. The TV spot will be supported by outdoor, digital and radio executions and closely followed by a second 30” film, live Friday 21st September, which celebrates the availability of the Sky Mobile network on the new Apple device, reminding audiences that some things are just better together.